Inspired in part by Iran's Islamic Revolution, a young Egyptian army lieutenant emptied his machine gun into President Anwar Sadat in 1981, killing a leader who made peace with Israel and offered the shah a refuge after his overthrow. The assassination carried out by Khalid al-Islambouli and others from a Sunni Islamic extremist group showed the power of Iran's Shiite-led revolution across the religious divides of the Muslim world. 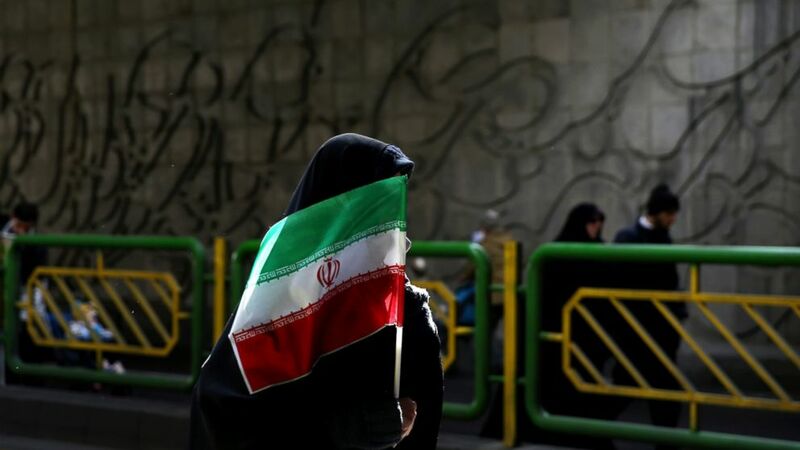 Islamists initially saw Iran's revolution as the start of an effort to push out the strongman Arab nationalism that had taken hold across the Middle East. But those divisions now feel inflamed by the sectarian bloodshed that followed the U.S. invasion of Iraq in 2003, Syria's long civil war and the regional rivalry between Iran and Saudi Arabia. It may seem as though the Middle East has always been divided between Sunni Islam, which represents about 85 percent of the world's more than 1.8 billion Muslims, and Shiite Islam. But that divide, stemming from a disagreement centuries ago over who should succeed the Prophet Muhammad, owes much to the political rivalry between Saudi Arabia and Iran after 1979. Long before the Islamic Revolution, Islamists had wanted to wed governments to their faith. One of the most prominent was the Muslim Brotherhood, a Sunni group founded in 1928 in Egypt that spread across the Arab world. Another was the Iranian Shiite Islamist group "Devotees of Islam," who assassinated pro-Western Prime Minister Ali Razmara in 1951. The aftermath of World War II instead saw the rise of pan-Arab nationalists, chief among them Egypt's Gamal Abdel Nasser. Military strongmen took power, pushing for rapid modernization that shunted religion aside. The nationalists "see themselves often as critical of religion because religion is 'backward.' It's what's been holding the Arab world back," said Daniel Byman, a senior fellow at the Brookings Institution and a professor at Georgetown University. "That's kind of the dominant divide, and Islamists of all stripes are pushing back against this." "The Iranian revolution in the beginning was portraying itself as the start of a pan-Islamic revolution," said Toby Matthiesen, a senior researcher at St. Anthony's College at the University of Oxford who is writing a book on Sunni-Shiite relations. "It was even seen like that by a lot of the Sunni Islamic movements." "The Iranian revolution gave us a strong belief that the tyrants can be brought down," said Ahmed Yousef, one of the founders of Hamas, the Palestinian Islamic political party and armed wing that has controlled the Gaza Strip since 2007 with Iran's backing. "Following that big victory, the Islamic Jihad was established here in Palestine and few years later Hamas was founded too." The pan-Islamic Iranian inspiration perhaps reached its height on Oct. 6, 1981, as Islambouli and his co-conspirators rushed out of a truck at a Cairo military parade and assassinated Sadat, who had made history by signing the first Arab peace deal with Israel. At trial, Islambouli famously clutched a Quran and shouted: "It was I who killed the Pharaoh!" Iran venerated Islambouli, naming a street in Tehran after him and issuing a postage stamp in his honor. But by this time, Saudi Arabia, fearful of Iran's growing influence and the 1979 extremist attack on the Grand Mosque at Mecca, began pumping money into spreading its ultraconservative view of Sunni Islam throughout the world and dismissing Shiites as apostates. "The Saudis really put a lot of money into the 'Dawah' machine to try to out-compete Iran around the world," Byman said, referring to the kingdom's proselytizing efforts. "There's a real panic and concern then." Pan-Islamic admiration for Iran waned as it supported destabilizing attacks across the region, such as a failed 1981 militant coup in Bahrain and a 1985 car bombing targeting the emir of Kuwait. Iran's eight-year war with Iraq deepened that rift. Syria's civil war further fueled the split, as Iran and Hezbollah provided crucial military aid to President Bashar Assad, who comes from the Alawite religious minority, while Sunni Gulf countries and Turkey supported the mainly Sunni opposition. "The Iranian revolution played a significant role in the birth and the growth of the jihadist movements in the Arab World, as it raised the awareness of the role of religion in political change in the region," said Adnan Milhem, a Palestinian historian at al-Najah University. "The Iranian revolution affected the political thinking in the region in terms of introducing religion as a changing tool to fight oppression and corruption." Associated Press writer Mohammed Daraghmeh in Ramallah, West Bank, contributed.